An amazing transformation is happening with TapSnap photos across the country. 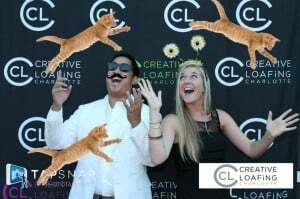 With all of TapSnap's tremendous possibilities to digitally alter their photos, event guests are taking photo booth photography into the stratosphere. 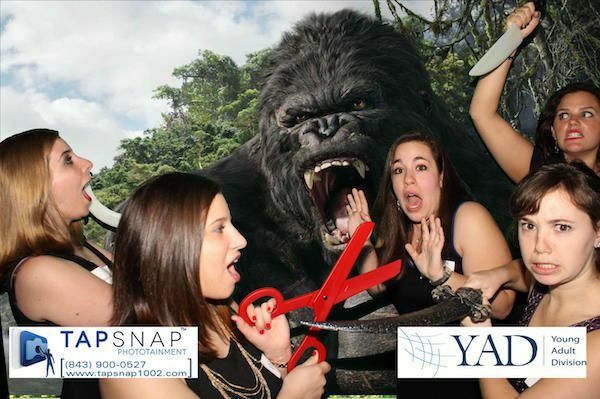 Take for example this photo of event guests going to face-to-face with King Kong, taken at the Charleston Jewish Federation Young Adult Division's Jewbilee on December 24. Guests came back again and again to try different poses, select different backgrounds and add their personal creative touch. “This couple wanted to create a steamy hot pic,” says Alada. “They tried several poses until they found the one that they liked and that they could hold. Then they found the mood-evoking backstreet black/white background then took it one step further and converted themselves to grey tone for the final effect. As you can see, these photos have evolved far beyond the average pictures you get from a photo booth. TapSnap’s ever-growing array of digital green screen backgrounds (https://tapsnapthemes.smugmug.com/Green-Screen) creates a fantastic canvas for guests. Guests take their picture in front of a green screen and then digitally choose their background. They can picture themselves anywhere in the world they want to be, in front of the Taj Mahal, the pyramids in Egypt, in the French palace of Versailles and so many more. TapSnap’s digital props add another dimension to the photos. It starts with funky sunglasses and Mexican hats and gets a whole lot wilder. Throw in a well-placed few flying cats, a burglar’s mask or Will Ferrell’s head on top of someone’s body and the photo becomes even more unique. Event guests can also add a newspaper header so it looks like you’re front page news, or speech bubbles with text, so you can literally put the words in someone’s mouth. Also in the mix is your treasure chest of handheld props: cowboy hats, feather boas, pirate swords and curly moustaches. If it’s goofy, fun or fantastic, you’ll find it in TapSnap’s prop box. 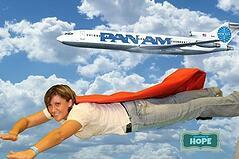 When guests mix TapSnap’s prop box with a green screen background, sparks tend to fly. 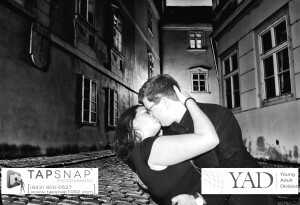 Ultimately, TapSnap is transforming the way photo booths take pictures, and we’re committed to staying ahead of the curve. “We’re pushing the limits on what a photo booth can do, and continually evolving our product to incorporate the latest technology so it astounds and amazes guests everywhere. People keep telling us they’ve never experienced anything like it,” says Scott.